It’s the party idea so simple you’ll wish you had thought of it yourself! 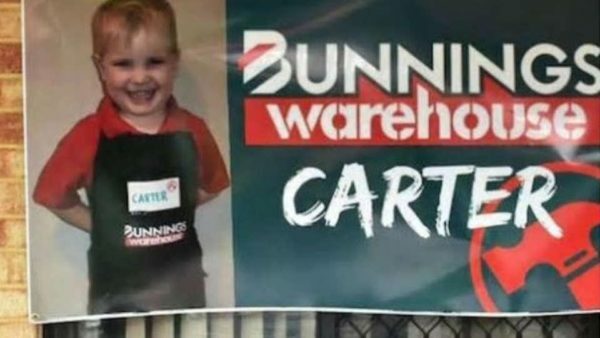 Take a bow, Kylie Stingers – the Perth mum who threw her Bunnings-obsessed son, 4-year-old Carter, a Bunnings Warehouse party. Yes, that’s right, a Bunnings-themed party. Cue mini trolleys, aprons and sausage sangas for the win! You couldn’t get more Australian, reported news.com.au, but I’m calling it peak parenting. As a mum of two sons equally obsessed with the giant hardware chain, I don’t think I’ve come across anything more fabulous. The genius is the simplicity. Carter’s party brief was simple: turn up to his place, which was kitted up for the day as a pop-up Bunnings – complete with a ‘garden centre’ and pot plants for guests to take home, and a ‘paint centre’ where kids could paint plaster statues. 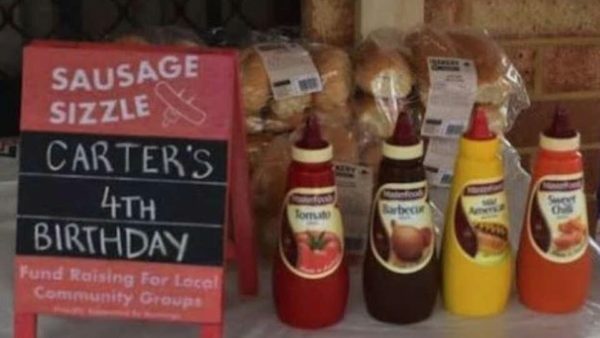 No prizes for guessing what was on the party menu … the infamous Bunnings-style sausage sandwich on bread, of course. Kylie told news.com.au the party was even cost-effective, as the house was decorated with balloons and merchandise (like the sign pictured above) from their local Bunnings store. Plus, aprons, bunting and balloons came from family and friends who worked at the store. Even Carter’s birthday presents were on theme, with lots of his friends gifting the 4-year-old a Bunnings gift card. “He was even more excited to do that,” said Kylie. For Kylie, the best part of the whole day was the happiness on her son’s face. “Carter said it was the best party ever,” she said. Thanks, Kylie from Perth! Who else is stealing this idea?! This article originally appeared on Kinderling Kids Radio. Read the original article here.